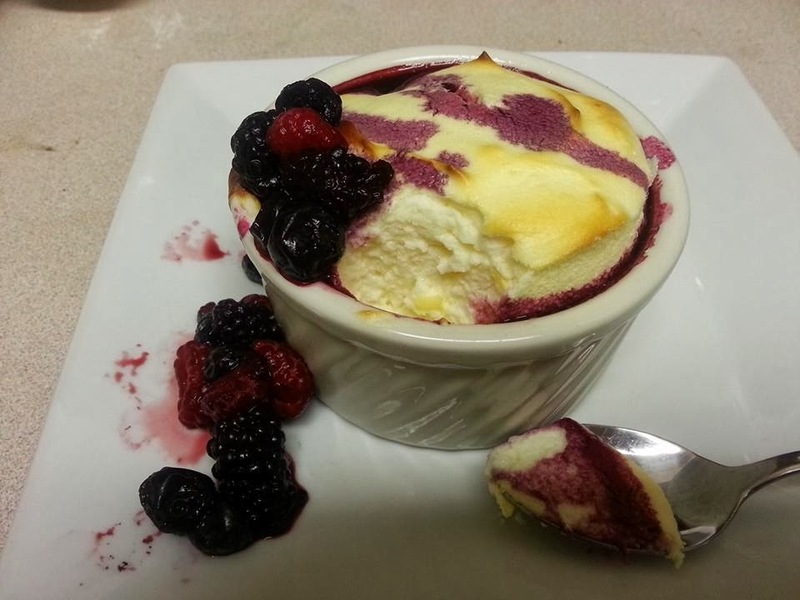 While scouring Pinterest the other day, I found this amazing recipe for Greek yogurt souffle courtesy of Jules Food. 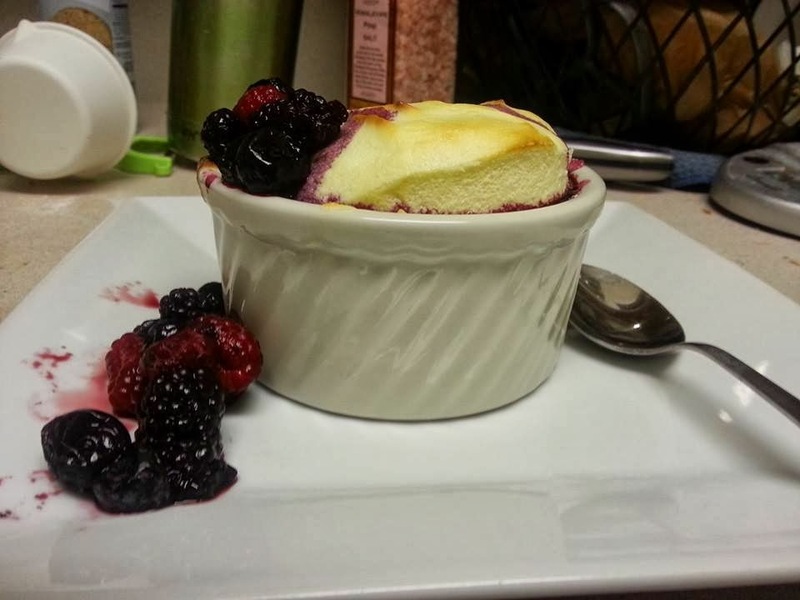 I made it for dessert a couple nights ago and it was super easy and delicious. It was light as air when it was fresh out of the oven and super delicious. Even after it fell, it tasted just like delicious, super light cheesecake. Fold the egg white mixture into the yogurt mixture ⅓ at a time. Be sure to keep as much volume as possible. Divide into ramekins and bake at 375 for 15 minutes. Do not open the oven to peak. Serve immediately, though they will taste like great light cheesecake when cool as well.